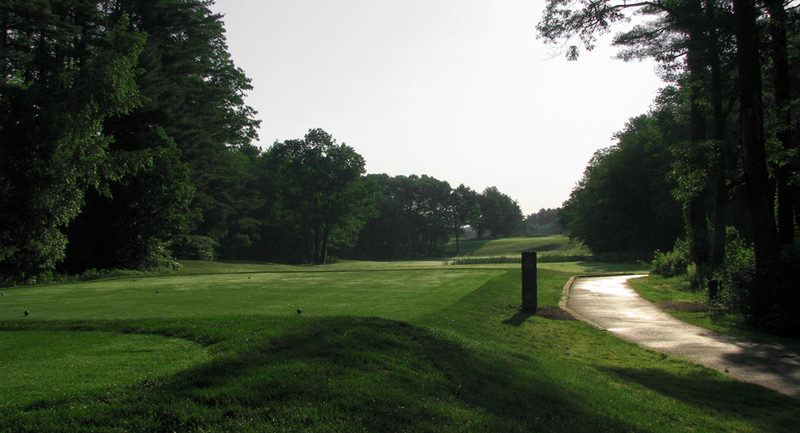 Here at Stow Acres Country Club, our bunkers are perpetually invaded by stones. 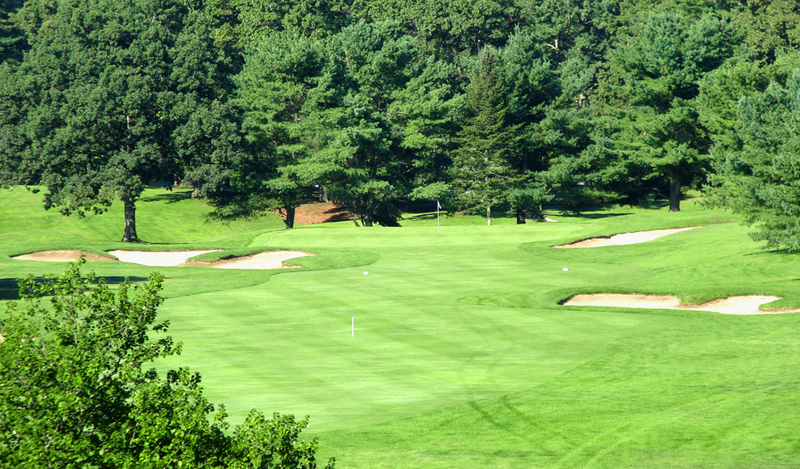 The primary cause for this issue is the age of the bunkers, as they were installed before bunker liners became common practice and soils in our area are typically pretty rocky. 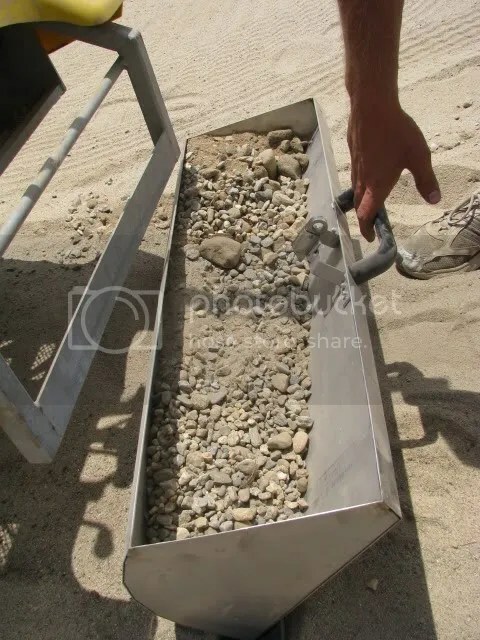 The liner keeps the rocks from permeating through the base layer into the playable sand. 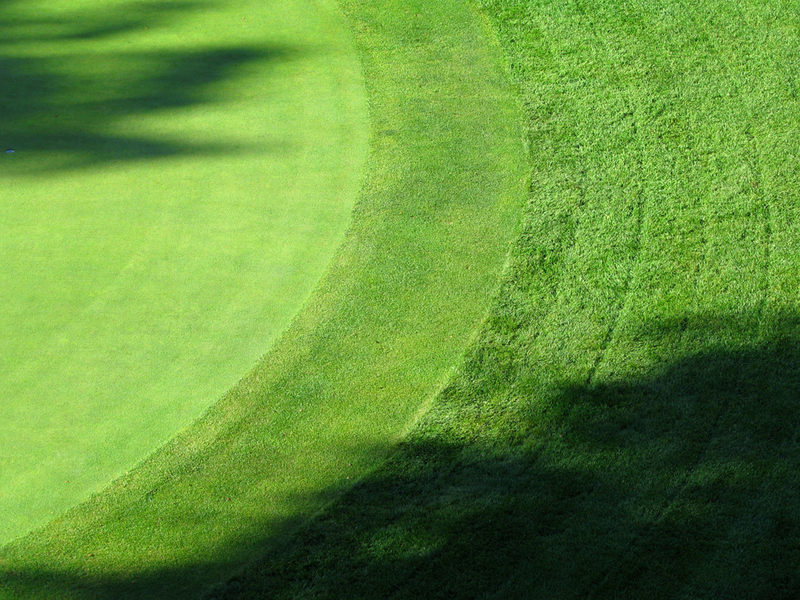 See why the bunkers are in the shape they are in here for a more detailed explanation on this phenomenon. 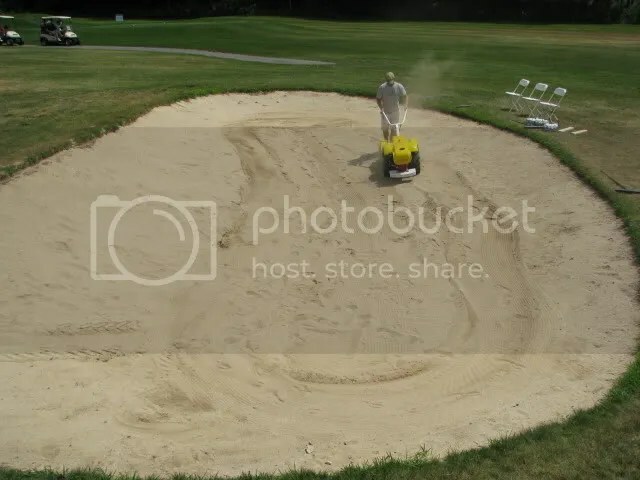 With adding sand being a losing battle, this year we looked into alternatives to remove the rocks that our golfers were coming across with their sand wedges. Enter the Ondina Sand Cleaner. It was imported from Italy by H. Barber and Sons in CT to deal with the tar balls from the Gulf Oil Spill. 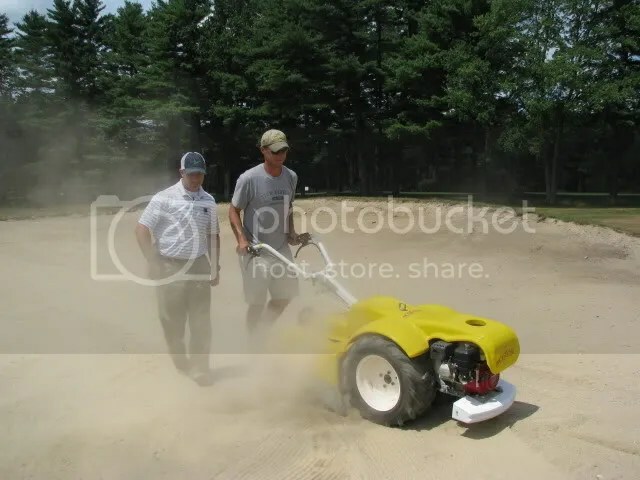 This machine digs up to 4″ into the sand trap and vibrates the sand through a screen, filtering out any rocks, acorns, pinecones, or debris it comes across. 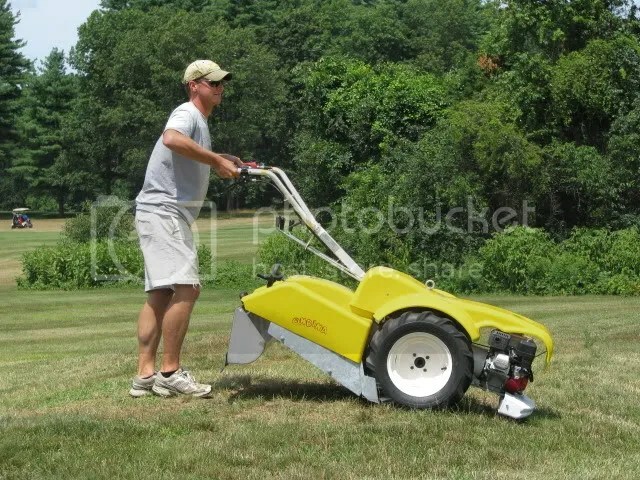 This machine will allow us to address the bunkers that need the most attention first, and remedy the current situation faster than we could by renovating and installing liners. The down side to this approach is, it’s certainly less of a permanent solution. 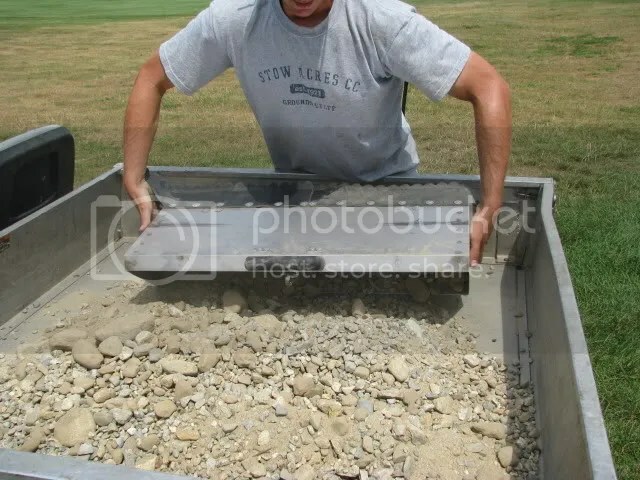 Each bunker that is cleaned will have to be routinely inspected and re-cleaned when necessary. Having this piece of equipment on the property will certainly make it easy to keep up with the demand though. We are very pleased with the efficiency of the Ondina. Here you can see just how many rocks were removed from the bunker behind 1 North Green. This gives a slight idea of what we’re up against in trying to properly address the sand quality in our bunkers on both courses. Currently to date, we have been able to use the Ondina in all 56 bunkers on the North course. There are certainly some that will need to be done again before the summer hits, but we are well on our way to cleaner bunkers. 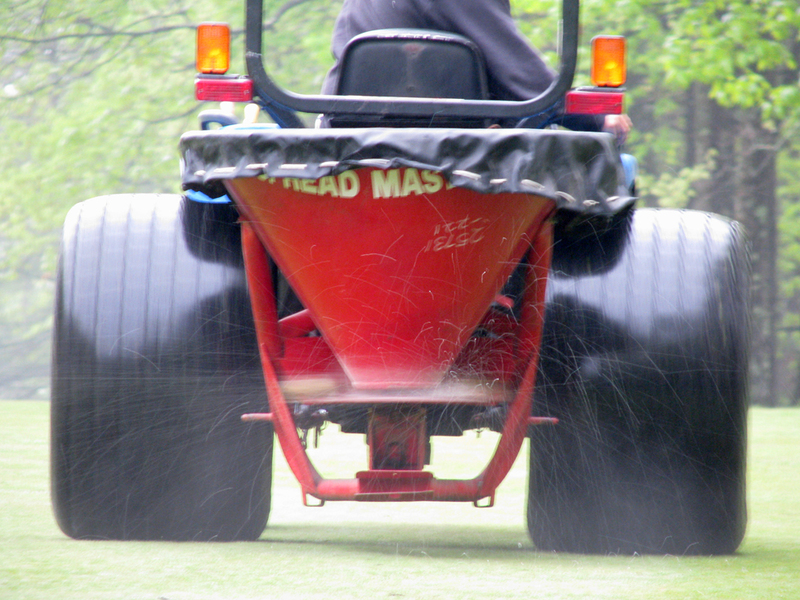 Next week, we will be starting to add a fresh coat of new sand approximately at a 1″-2″ depth where it is needed. We will also be placing a heavier emphasis on hand raking green-side bunkers to help filter out any stones that may have been left behind. Thanks for your understanding during this timely process! See you on the course! Categories: On the Course, Projects | Permalink. 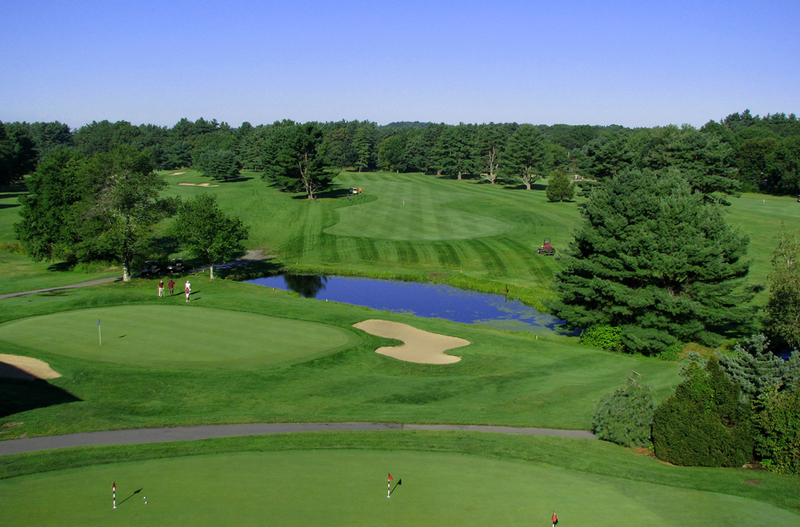 Categories: On the Course | Permalink. 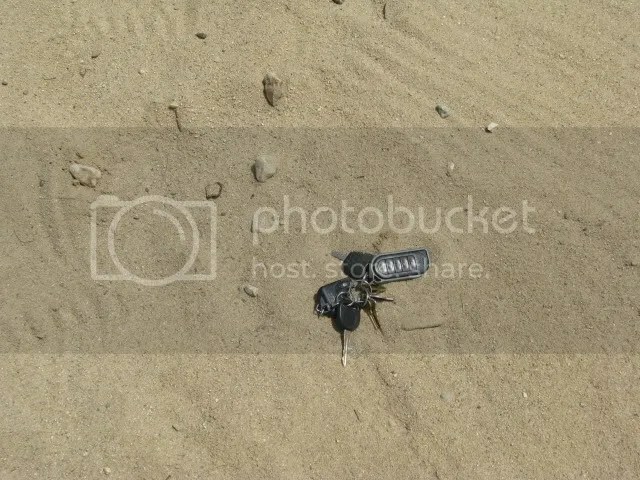 A few photos from the past couple weeks. The first is a shot of 9 North, the following three are from 4 South this morning. After using the mix tank for a couple weeks, we added a few new features to make it more usable. 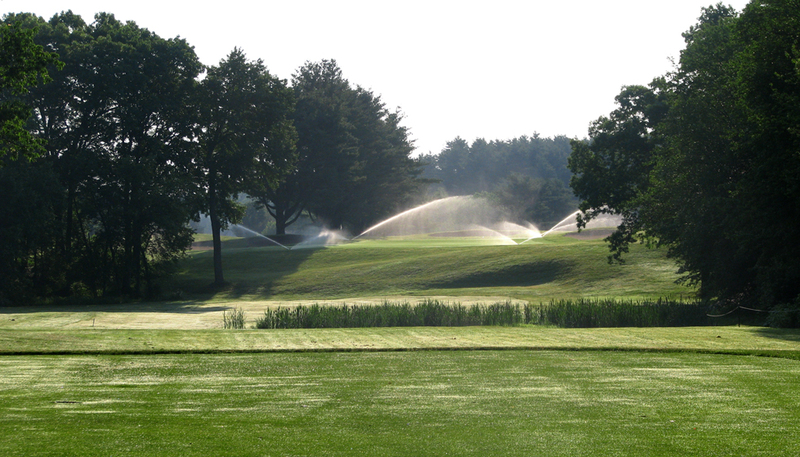 To facilitate faster filling, we plumbed the irrigation water from the South Course directly into the tank. Filling the entire 275 gallon tank with the irrigation line takes under 5 minutes. To help screen out any of the debris that makes it through the irrigation lines, we installed a fine mesh strainer screen. There’s also a quick disconnect in line, in case we ever have to move the tank for some reason. 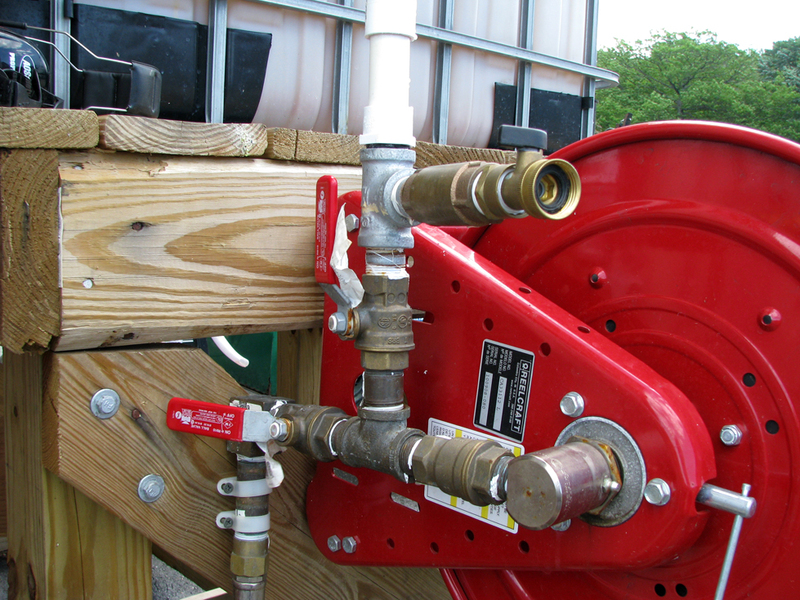 In the event that the irrigation is not pressurized, a 3/4″ female hose thread swivel connector was installed to allow the hose from the well water to be hooked up to the fill line. 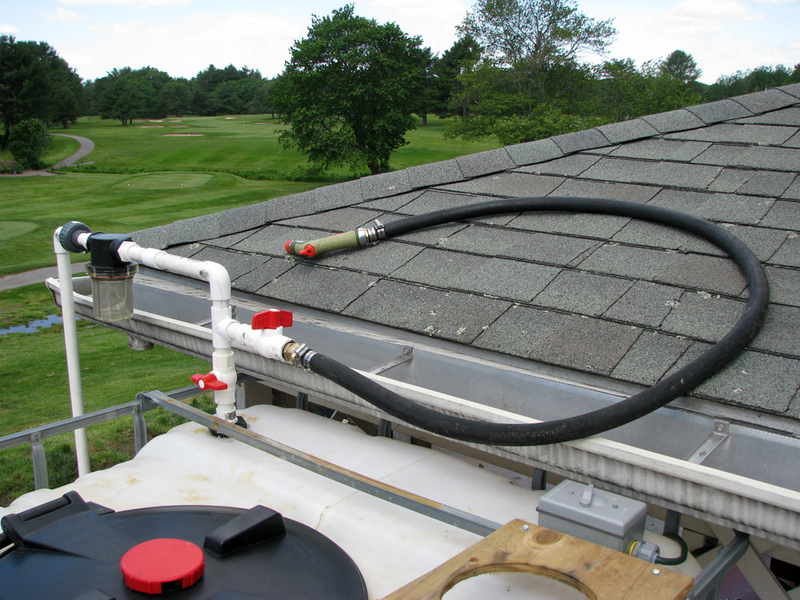 For ease of rinsing containers and the mix tank itself, we also installed a 6′ hose with quick connect and a nozzle to the fill line. Valves allow one or both to be operated at the same time. The weather this week has provided an excellent opportunity to complete our tee and fairway granular fertlization. 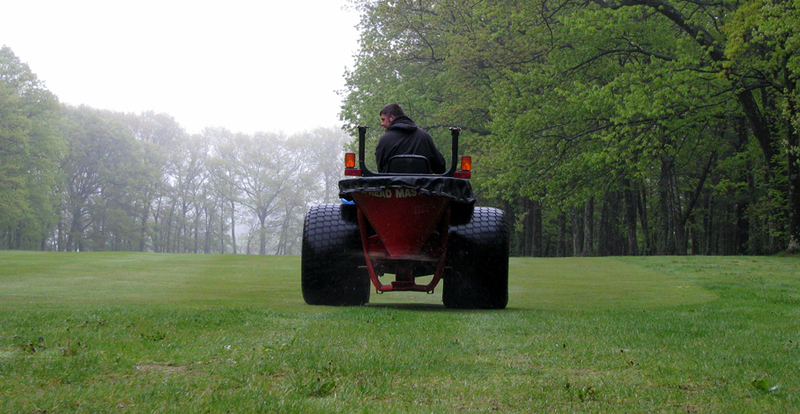 Fairways are being fertlized today and tomorrow, with tees having been completed on Monday. Given the large area of treatable turf we have here at Stow Acres, this process is completed using a PTO spreader mounted on our New Holland TC33D turf tractor. As always, we do things a bit differently here at Stow. Rather than use a pulley and rope, or lever setup to open the hopper and start spreading the fertlizer, we’re using a 12V linear actuator and controller to operate the gate. This allows us to control the rate exactly and make minute adjustments as the fertilizer is applied. It also ensures that the gate is opened at the exact same speed each time, providing a controlled gradiant of applied product at the beginning and end of each pass. 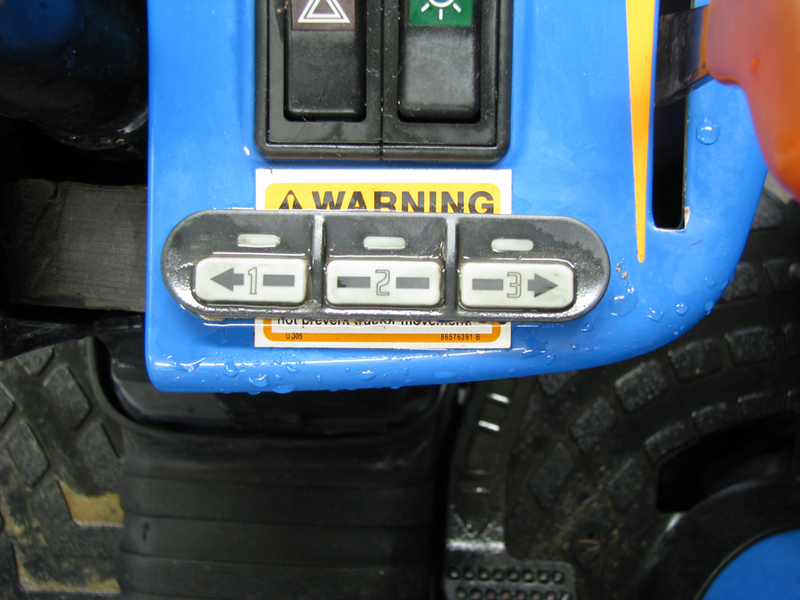 The controller allows for three different positions: Position 1 is for the gate closed, and Positions 2 and 3 are reserved for two different application rates. Keep an eye on the tees and fairways in the next week, they’ll be greening up in no time! Categories: In the Shop, On the Course | Permalink. 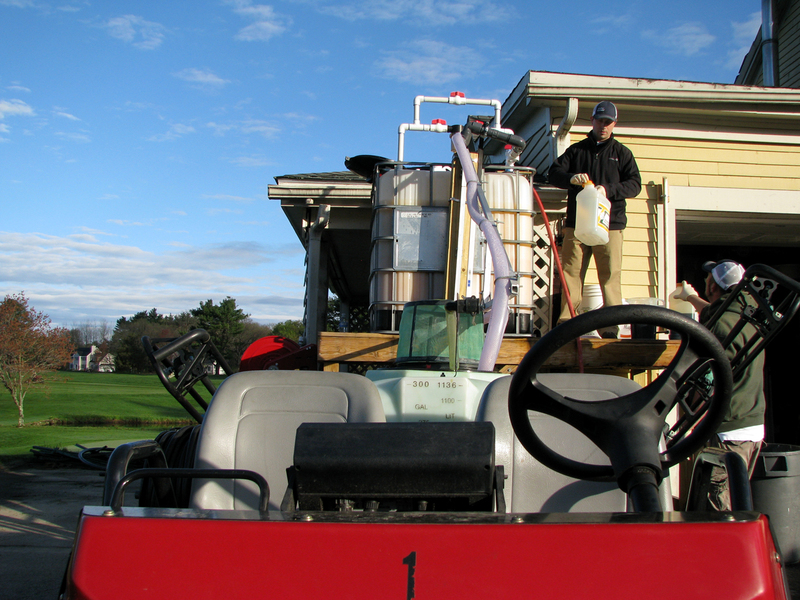 One of the most important cultural practices here at Stow Acres Country Club is spraying our greens, tees and fairways. On average, we spray twice each week. We have two dedicated sprayers, one 175 gallon Spraytek DS175 for greens and tees, and a 300 gallon Toro Multipro 5700 for fairways. Given the volume of the tanks, and the precision with which the sprays are mixed, it can take upwards of an hour to fully load the sprayer. Each spray is typically 2-3 loads, which requires 2-3 hours or more of mixing and loading the spray. This season, we decided to change the process up a little. 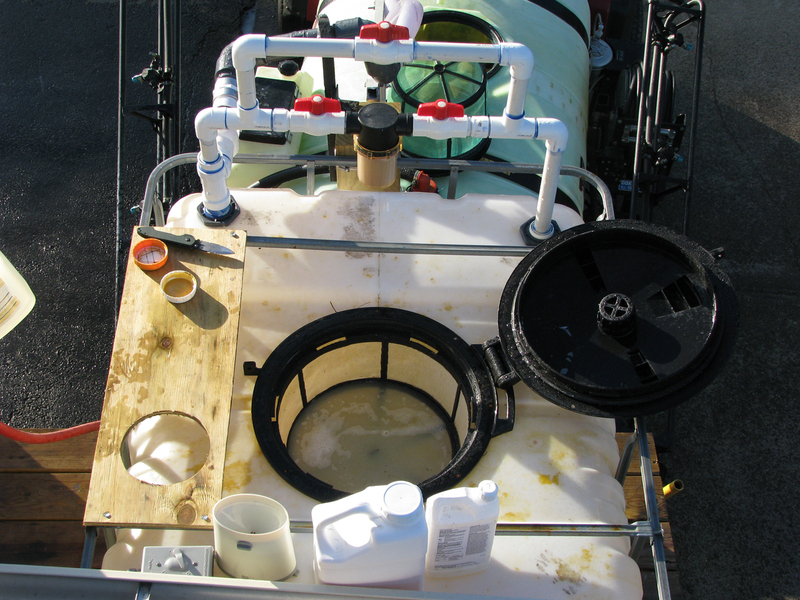 We built a Pre-Mix Tank to facilitate mixing the spray while the spray technician is in the field treating the turf. The first step in the process was selecting a tank. We used a 275 gallon bulk fertilizer tank. 275 gallons of water, at 8.35 lbs per gallon, weighs 2300 lbs. With this in mind, we built a pressure treated stand of the same design as a hot tub deck. The stand also includes an area to stand on while loading the mix. The tank was then modified to fit our design. We cut in a bulkhead with straining screen. 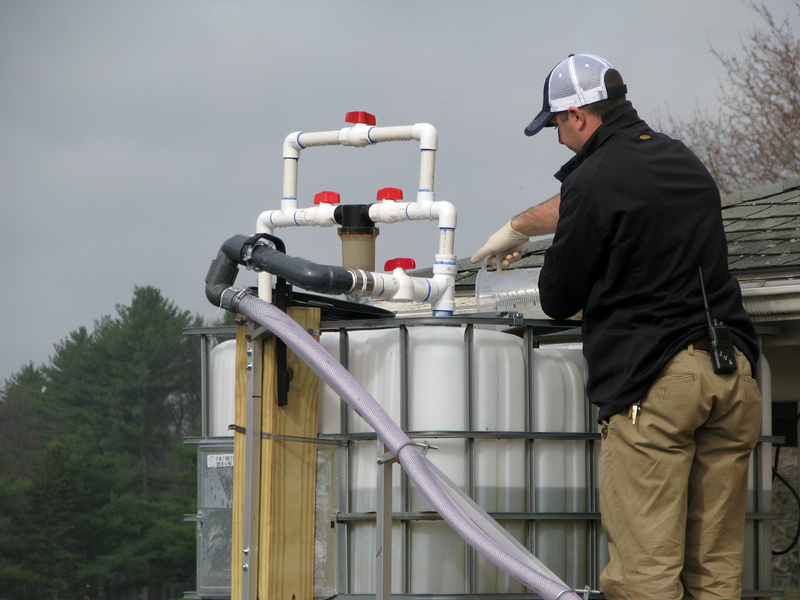 The mix tank is powered by a 3/4 hp sump pump that drives a sprayer fill valve, in line strainer screen with bypass, and agitation nozzles to keep the products adequately mixed prior to loading. The tank is filled from our 120 psi South Course irrigation. An inline strainer screen filters the water before entering the tank. A custom aluminum fill hose frame was built and hinged to the tank. To facilitate the arm swinging without binding the fill hoses, we installed swing joints at both pivot points (upper and lower fill hoses). A platform was mounted to the tank cage with a cutout for the calibrated mixing cup. 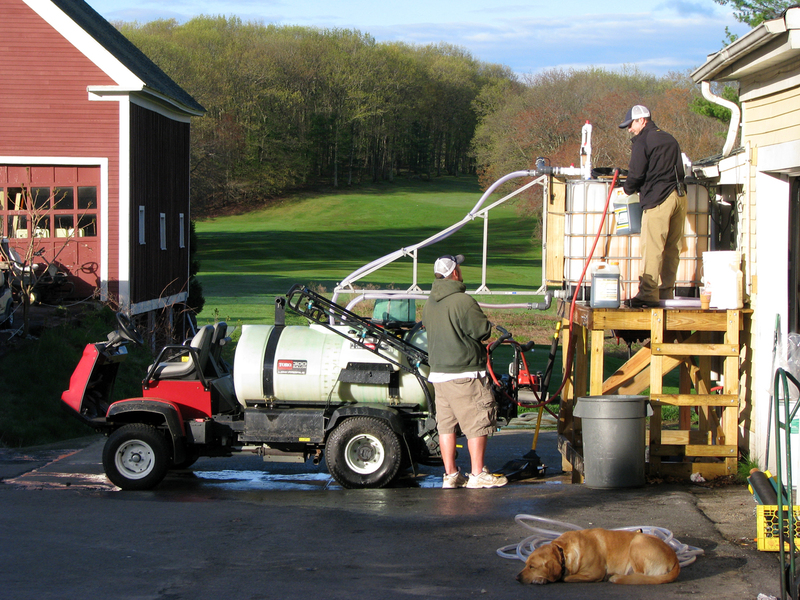 Once we started using the mix tank, the time spent by the spray technician at the shop between loads has decreased from an hour or more, to only 5 minutes. 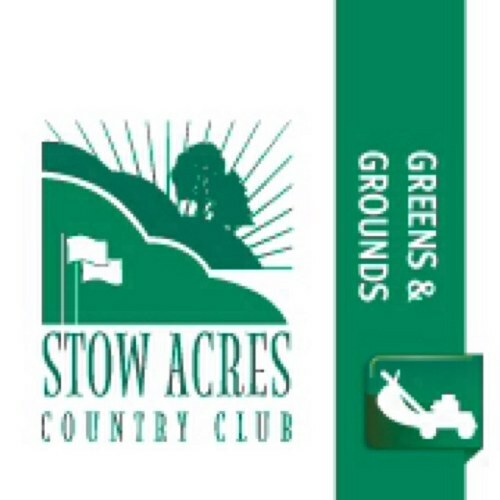 For more information on the mix tank, feel free to comment on this post, or contact me at JParker@StowAcres.com.